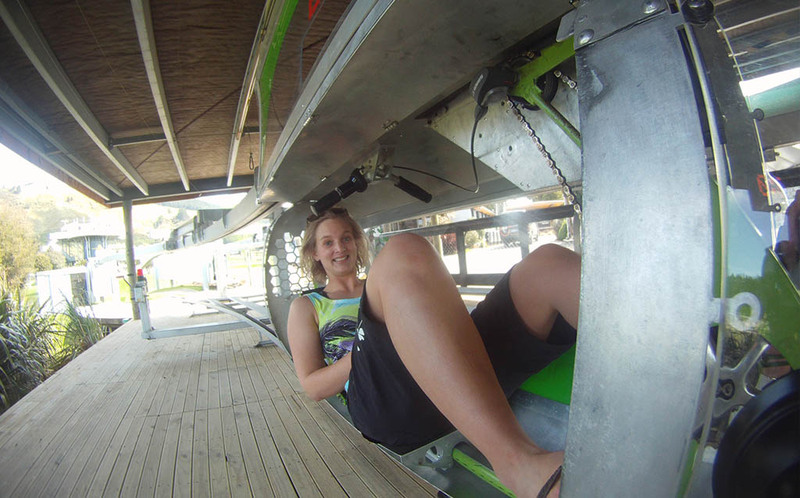 William Hamilton had dreamed of a boat that would carry him up the New Zealand rivers since he was a young boy. In 1954, he made this dream a reality by developing the world’s first propellor-less boat to navigate up rivers. Bill was the founder of what is now the world’s leading water jet manufacturing company. William Hamilton was a talented man as he also invented a machine to smooth ice on skating ponds and the water sprinkler. 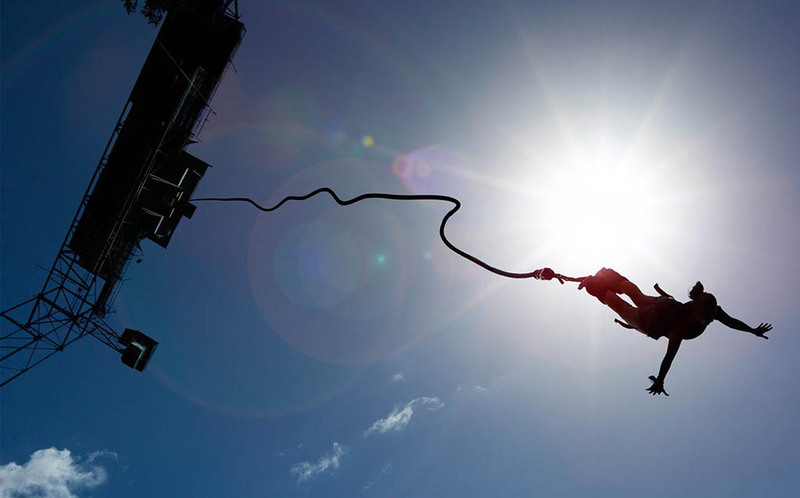 A J Hackett created bungy jumping after hearing about the traditional practice in Vanuatu where men jump from a tower with vines attached to their ankles. Hackett tested his invention on latex rubber cords firstly in France from a ski gondola 91 metres above the snow. They then decided they needed a public confirmation of their faith in the newly created bungy ropes so Hackett jumped off the Eiffel Tower. He was arrested but then released straight away as the jump had made international headlines. A J Hackett is now the most well known bungy jump company in New Zealand, with jumps located in Taupo, Queenstown and Auckland. Photo: One of the top kiwi inventions of the bungy jumping in action. Hamilton farmer, Bill Gallagher invented the electric fence in the 1930's. This idea was sparked by a horse that loved scratching himself on the family car. Bill came up with an idea to stop it from happening by electrifying his car. Every time the horse touched the car a triggering device sent a current through the car and then the horse. Joe, the horse quickly stopped using the car as a scratcher and Gallaghers plan had succeeded. He then changed the idea into the electric fences and started out by making them for neighbours. Now the Gallagher Power Fencing Company is a world leader in agricultural electric fencing. 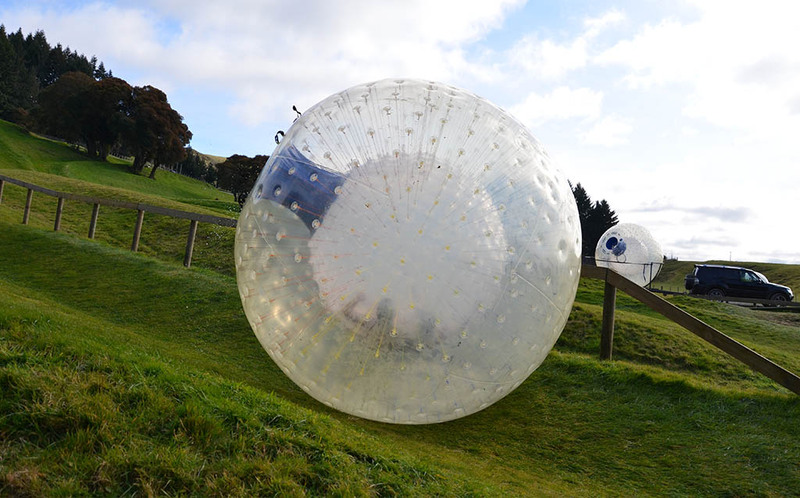 Located on the outskirts of Rotorua is the shweeb which was invented by Geoff Barnett. The shweeb is the worlds first human-powered monorail racetrack. You lie in a pedal-powered pod which hangs from the tracks where seven different gears can be used to reach top speeds. Speeds of up to 45kms can be reached! There are two 200m race tracks at Agroventures which is the home of the shweeb where you can race family and friends. Geoff Barnett's fascinating invention has also become a worldwide prototype for a form of mass transport that is environmentally-friendly. Photo: Alex, a Rotorua Canopy Tours Guide trying out the Shweeb invented by Geoff Barnett. Ernest Godward was the inventor of many things such as the eggbeater and burglar proof windows. One of the inventions that stood out was the spiral hairpin that fixed itself to the hair rather than the straight pins that always have to be adjusted. It was an international success that meant he was able to leave his cycle business and he began Godwards Spiral Pin & New Inventions company. Godward then became a full time inventor and carried on making successful inventions. Arthur Lydiard was a marathon runner and athletics coach. Arthur joined an Athletic Club in Auckland where he discovered he had a lack of fitness. He then went on to develop a training technique that involved daily running while maintaining a steady pace. In 1950, he started coaching high performance athletes that went onto winning Commonwealth and Olympic titles and also breaking world records. This invention is now used by millions of people around the world as part of their everyday health and fitness regime. The Martin Jetpack's were initially created in the garage of Glenn Martin in 1981. 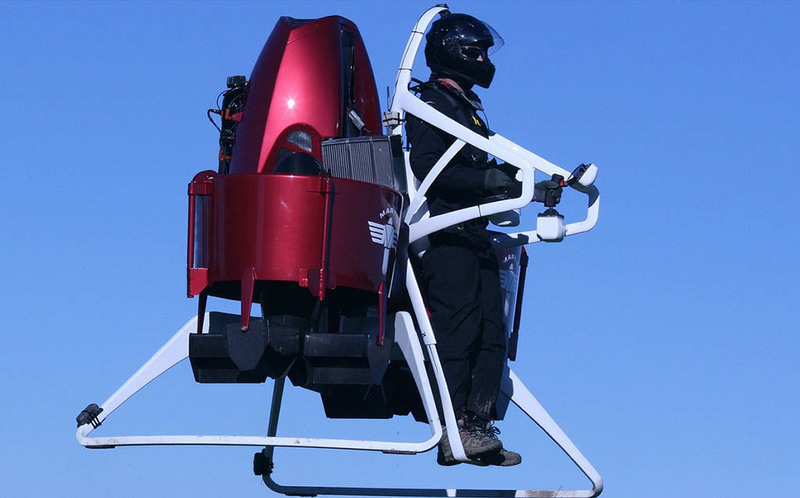 The Martin Jetpack is the world’s most practical and safest optionally piloted hovering air vehicle. It can either be flown manned, unmanned or as a mule. It is the easiest aircraft to fly either unmanned or remotely as it allows hands-free hover and position hold. Glenns wife was the first test pilot of the jetpack and after many prototypes the final Martin Jetpack was released in 2008. Photo: The kiwi invention of the Martin Jetpack flying in the air with a pilot. The springfree trampoline is the world’s safest trampoline and it was invented by Dr Keith Alexander. He wanted to create a trampoline that removed the hard surfaces that caused injury. This trampoline replaces the traditional steel coil rings with glass reinforced rods. The amazing thing about this trampoline is that it has reduced injury incidents by up to 80%. The unique trampoline has become an international winner and is used by people all over New Zealand and worldwide.